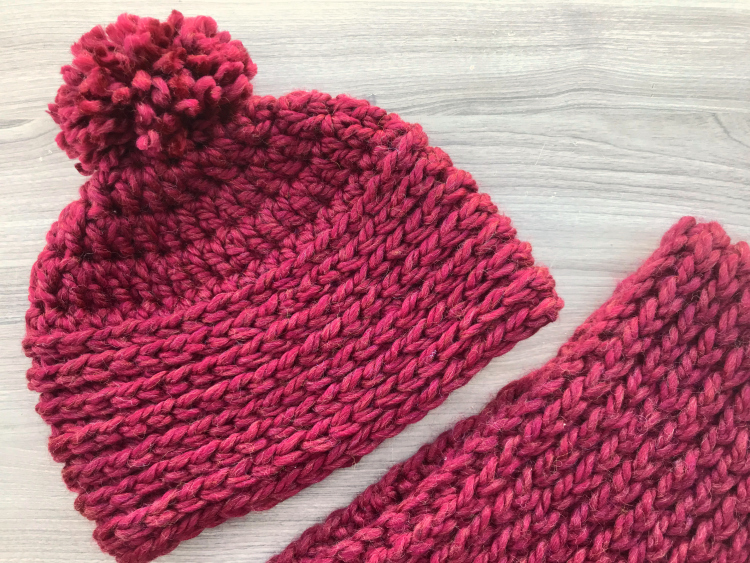 A couple months ago I shared a pattern for a knit look scarf on the Darice blog that uses half double crochet stitches to create a faux knit look. 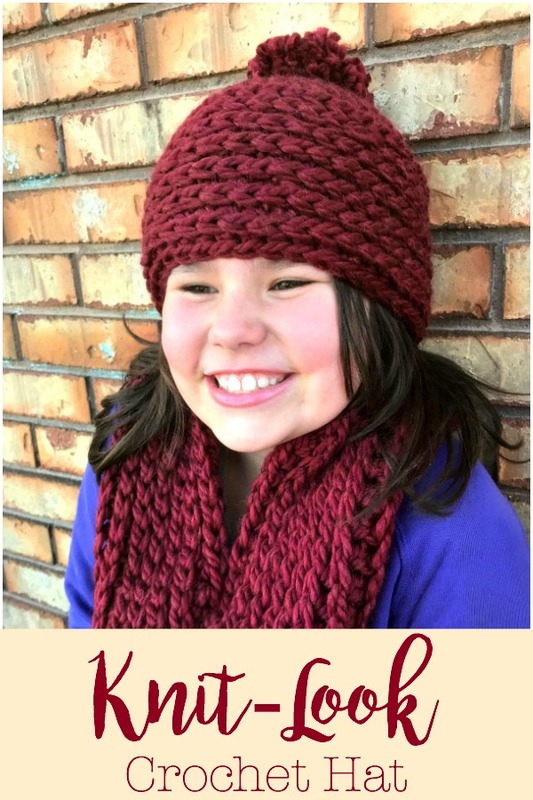 I made this hat to match the scarf and added a pom pom to the top. I made it to fit an adult but it fits my older kids too, just a little looser. 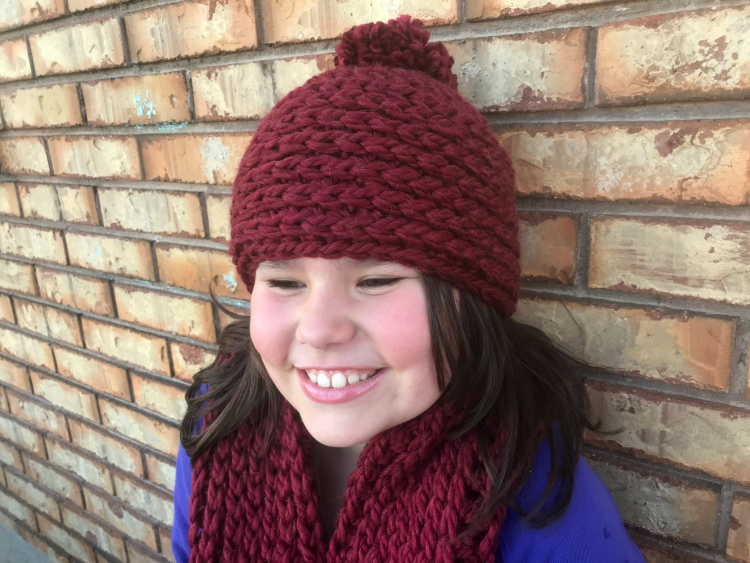 My daughter modeled the hat for me and then claimed it as her own. 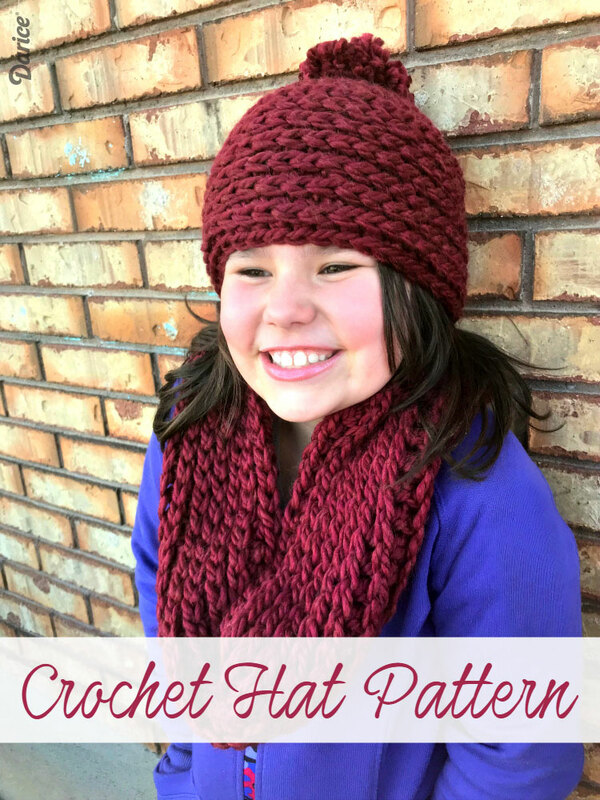 The super bulky yarn makes it a pretty quick hat to make and it ends up nice and warm. You can get the free pattern on Live. Craft. Love. This blog is a personal blog written and edited by me, Erica Dietz. As the owner of this blog, I may accept forms of cash advertising or sponsorship as well as free product to use in my projects. I will always share my honest opinions and only recommend products that I would use myself. I am a member of the Amazon Affiliate Program and I may include affiliate links in some of my posts. All of the photos and patterns/tutorials that I share are my own unless otherwise indicated. If I use a picture from another site credit will be given. If you would like to share one of my projects you may use one picture from my post as long as credit is given to me and it is linked back to my original post. Do not copy the actual patterns or tutorials to share on another site. You are welcome to sell items made using my patterns. Please share where you found the pattern, a link to the pattern if selling online would be greatly appreciated. Visit 5 Little Monsters's profile on Pinterest.